Visitors won’t come back next week. Visitors won’t come back for the next Easter service. Members will want to take visiting family to another church. You lose the opportunity to launch an initiative while everyone is there (like online giving, a missions project, or a small group network). Year after year, your church will shrink as a consequence of the above realities. I know you want to grow. But church growth begins with optimizing your Easter service. If your service is lackluster, attendees won’t want to see how milquetoast your “normal” service is. If the pastor doesn't nail it in on the Easter service, it hurts his credibility as a professional concerned with quality throughout the rest of the year. If you don’t capitalize on the Easter service to capture visitor contact information, then you are the reason the church isn’t growing. Ready to make the most of your Easter service? Here are a few tips for planning your Easter service that will keep visitors coming back, members encouraged, and your church growing. If you have zero goals, that’s exactly what you’ll accomplish with an Easter service: zero. Even a “bump” in attendance won’t mean anything. If you don’t have a mission to keep first-time guests coming back, you will feel overwhelmed by the idea of converting them to members. If your mission isn’t to convert visitors to members from your Easter service, your church will be like a gym in January: empty by next month. What if this year’s Easter attendance could be your weekly attendance? Then, next year’s Easter attendance would be even bigger. And when you convert next year’s visitors, you’ll be even bigger. But growth only happens as a result of execution. And execution requires a strategy. And strategy must be guided by a mission. Commit to converting X number of visitors into members within the year. Pick the number. Say it out loud. Share it with your team. Share it with your church in the weeks leading up to Easter. Make a commitment to grow X number of Easter visitors into members. Print out high-quality promotional cards for your Easter service and ask members to share them with co-workers, neighbors, and their family and friends. When you share your mission with the church, people will find ways to fulfill that mission in ways you could never have anticipated. Once you know how many visitors you want to convert at your Easter service, you can devise a strategy for capturing visitor contact data, reaching out, and incorporating them into the church. A comprehensive timeline for each visitor, from First Visit to Membership. This timeline should include goals to achieve and things to avoid for the first visit, first contact, second visit, first non-service event, and membership class enrollment. A technology to capture visitor data. Without the appropriate technology, you’re hanging all of your church growth on your secretary’s Excel skills. In the 21st century, you should be using a church management software and app to manage information, capture visitor data in the same system, and engage your church. Designated time, money, and designated personnel to have one staff person take each new visitor out to a meal or coffee. Police officers call this “making positive citizen contact.” Nobody likes walking in and out of a church like a grocery store, without making connections in real life. If your church doesn’t already have kiosks, then the idea of kiosks might sound a little hokey. If you don’t have kiosks, your church is hokey. If you use Tithe.ly’s ChMS as your church management software, then you can turn any tablet or computer into an instant kiosk. Offer every entrant an entry in a raffle for something costly, like an iPad or an Amazon gift card. Set up multiple kiosk stations with real attendants devoted to requesting people log in. Aside from getting email, phone and address, it’s important to get unique information that helps you to make a positive first contact with them. It’s very important for you to follow up excellently with visitors. If you do two things, you could blow visitors out of the water and win them over quite easily. What does it mean to be personal? If people feel like you care, then you’ve done more for them than most people in their lives. That gives you credibility with them. Many churches feel uncomfortable hosting Easter egg hunts and Easter parties with a cookout and field games. You shouldn’t feel uncomfortable doing this at your Easter service. People want to do this. People are disconnected, lonely, depressed, and anxious. Show them what it looks like to enjoy God’s good gifts on the Lord’s day. Invite them into a community that isn’t just solemn, boring, and self-interested by giving visitors and members alike a party that will, at the very least, guarantee they return next Easter. Don’t let the opportunity pass by to grow as a church. God commands his church to make disciples (Matt. 28:19), so don’t let yourself be satisfied with the status quo. Make a conversion goal for your Easter service visitors. 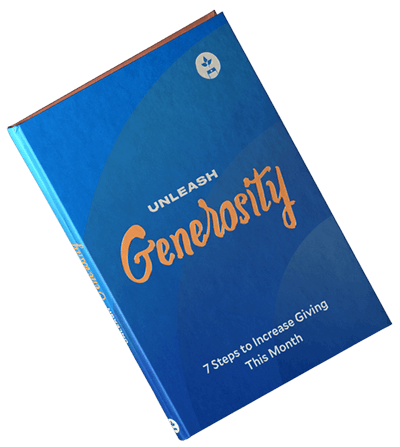 Get Tithe.ly’s ChMS before Easter. Integrate Tithe.ly’s ChMS into your Easter service strategy. Follow up with personalization and care. Growth really is as simple as taking the right steps this Easter service. Author: Paul Maxwell, Ph.D., is the Content Strategist at Tithe.ly. He lives in Fishers, IN with his beautiful wife and rowdy wheaten terrier.